Council staff are celebrating after cleaning up with a nationally recognised qualification. 59 staff from the street cleaning operational team have been awarded an NVQ level two in cleaning and support services skills. Employees were recognised for their achievements at a ceremony last week. This was the first time many of the staff had undergone a process leading to a formal qualification. The NVQ was specifically designed to test their knowledge, recognise their skills and to give them confidence and a qualification in their role. Assessors shadowed staff at on the job and questioned them on their background knowledge. Staff were assessed on their ability and knowledge to deal with duties such as safely reducing risks to health and safety in the work place; communicating effectively and performing street cleansing mechanically. 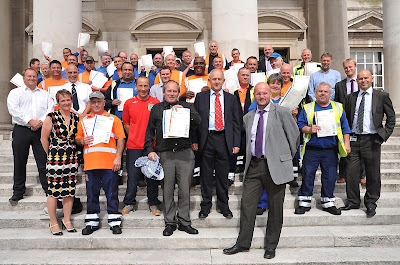 Having successfully completed the qualification, staff were presented their certificates by Councillor Keith Wakefield, leader of Leeds City Council, Councillor Mark Dobson, executive member for the environment, Neil Evans, director of environments and neighbourhood, Peter Robinson, CEO Nordic Pioneer and service managers and supervisors. 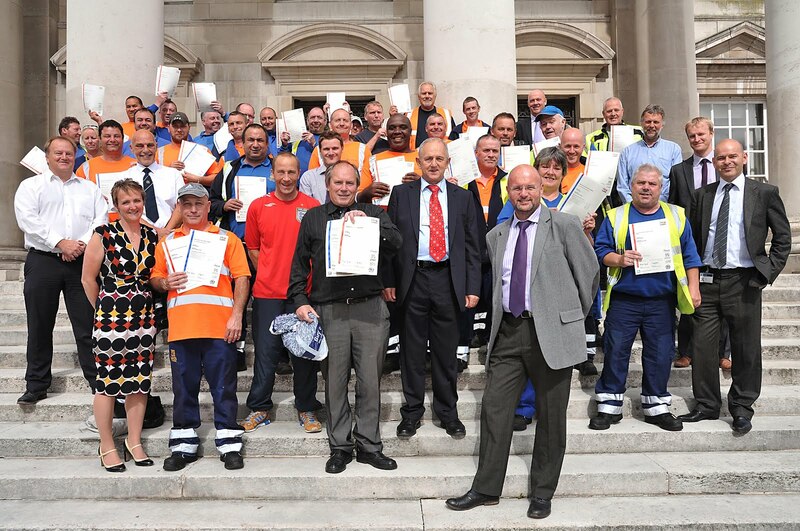 "We work hard to train staff and I’m delighted at the achievements of our street cleaning operational team. I hope they’ll continue to take up and benefit from this training moving forward in their roles. Training was provided by Nordic Pioneer Ltd, an award-winning company specialising in providing apprenticeships and training within the cleaning, waste management and housing sectors.